This Saturday gives many promises to be wonderful. Today, you can safely move towards your dreams, build castles in the air, think, look ahead, and believe unconditionally in luck. 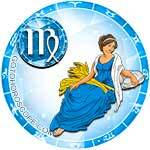 This day is optimal for creative affairs, self-employment, communication with loved ones, as successful flirting. Those who seek love should allow themselves to be seen more often. Those who have a committed partner should devote all of their attention to them, and do not neglect the care of personal health. .
For Aries, February 9, can be a real oasis in the middle of a hot desert. There is a good chance that miracles will begin to happen today. It may be possible to start a dizzyingly bright romance, return to a familiar place with a former love interest, increase income, or resolve disagreements with a marriage partner. 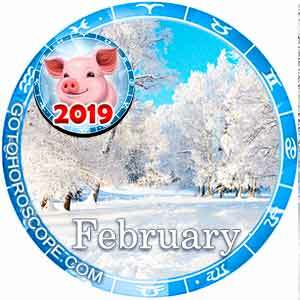 Also, it is within the realm of possibility today that Aries in families will seriously think about the continuation of the race and reproduction. 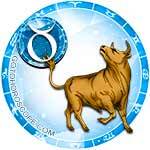 Taurus should not spend their Sabbath fixated on resolved issues in your life. It is important to restore your body that is exhausted from a week's worth of hard work. There is a good chance that you will need emotional relaxation. The best scenario of this day is for you to rest while surrounded by close people and a sea of bright emotions. It is recommended to change your scenery for a while. Visit some new local hotspots or community gatherings! 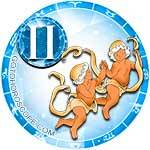 Many Gemini today will have some adventurous ideas. You probably have the permission and ability to exercise their brave spirit, but only under the condition that this risk is not connected with the crime. In general, Saturday promises to give you peace and fun. You can visit old friends, visit one of your relatives, or attend a cultural event. Single Gemini on this day should not neglect new acquaintances (especially those who will be discovered in a public place). 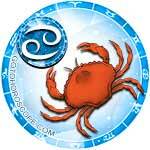 Cancers, Saturday can give you a sense of harmony with oneself and the world. This prediction will come true as soon as your pessimistic mood dissipates. Do not become overly introspective and look for flaws in someone close to you. It is also recommended that you do not complain about the fate that has sent you certain difficulties. It would be nice to devote at least a couple of hours to work on your inner world. Visit a sacred place, read religious literature, think about the soul, or do a good deed. 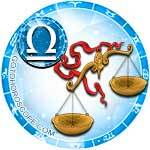 Leos on this day are not recommended to engage in disputes or conflicts. These risks have the chance of ruining your Saturday mood by causing aggression or panic. It will be exponentially more beneficial for you to respond to negativity with a smile. In the afternoon, you will do well to go on a quest for enjoyable activities that bring you happiness. A reasonable level of activity is allowed, but this is only under the condition that it does not lead to unpleasant consequences. In the evening of this day, focus on remembering the meaning of romance. Virgo, February 9 can give a small success in the field of finance. 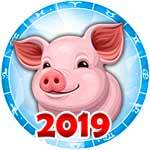 This is probably a one-time deal which will bring a certain amount of income (it is possible that the source of financial income will be the lottery winnings or the successful bet on the tote). The rest of the Saturday will be monotonous. It would be wise to dedicate his day to solving deficiencies in your personal life, cleaning the home, shopping or helping some relatives. 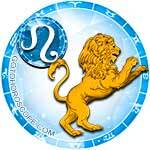 Libras on this day may be a little bored by being surrounded by extremely negative people. If you are able to, try not to attend tedious events. It would also behoove you to avoid tedious activities like excessive driving, homework, or other busywork. Do something nice for someone else or care for children. Alternatively, you can combat external negativity by taking the time to care for your appearance. 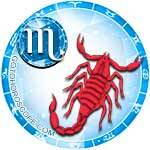 Scorpios, this day promises to give you a great mood. It is important for you to protect yourself from any stress factors and to ignore criticism. If at all possible, try not to boil over whenever faced with a minor obstacle. In addition, you can make time to accomplish a lot of things that are constantly postponed. If there is some unresolved question in your personal life, you should put it "into development". Devote the evening only to yourself. Or in other cases, spend the evening in a romantic setting with your significant other. 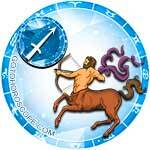 For Sagittarius, Saturday can pass without many memorable moments. However, there is a high probability of getting a surprise. This could potentially be the delight of talking to an interesting acquaintance, a new romance, or the revival of a current romantic relationship. The only downfall of this day can be spending money on expensive purchases. Do not rush to lower your entire budget to compensate for an item that has a high cost. There is a chance that after a few days, the same item that you desire will come to a cheaper cost. 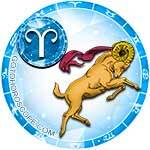 On February 9, Capricorns are not recommended to degrade their standards to lying. Even if it is the moral dilemma of lying to save someone, the deception will probably be revealed very soon, and you will experience the sensation of great awkwardness. Another problem found in this day is alcohol. 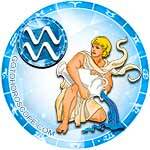 Keep track of the number of drinks you consume, and do not allow the "Green Serpent" to turn you into a fool. The rest of the Saturday promises to give a feeling of positivity. There is a high probability of exciting trips and meetings that are filled with humor, fun, and flirting. 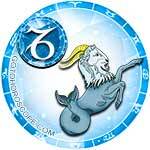 Aquarius today should not think about things that have not happened yet. Learn to live in the present and find pleasure in every new breath of fresh air. You are recommended to spend this Saturday on the development of your personal mindset or spirituality. It will also be useful for you to spend the maximum amount of time with your children (or children of your relatives). The evening can bring to you a romantic mood. Spend this time in the arms of your loved one. 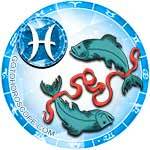 Some Pisces today will be capricious. Because of this, an unfortunate misunderstanding will be escalated between yourself and a close relative. Try to correct this problem as soon as possible. On the whole, this day is not bad for the start of intra-family reformation, for upgrading home equipment, or for finding new interior solutions. In the evening, there may be a sense of nostalgia for what has not yet come true. Try to keep nostalgia from turning into a depression.